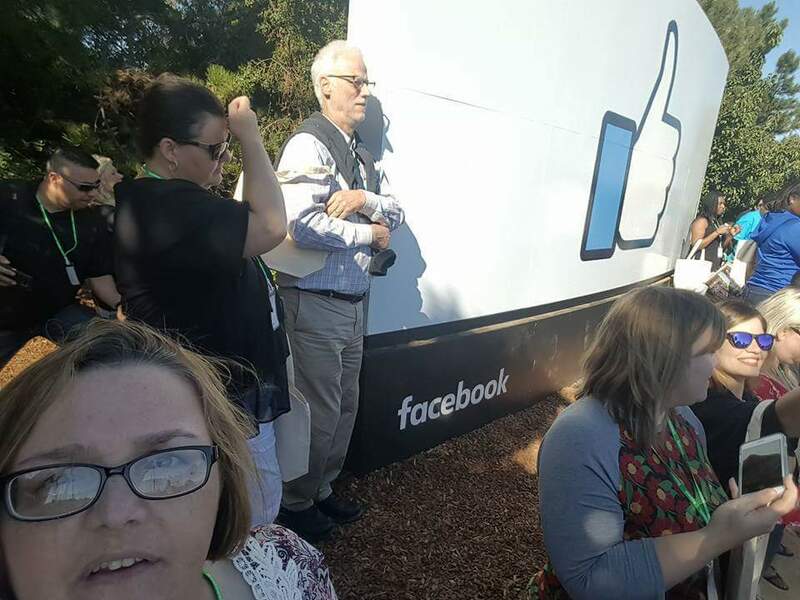 High School Computer Science teacher Stacy Reynolds was recently asked to attend the 2017 AP Computer Science Principles Summit at Facebook headquarters in Palo Alto, CA. CollegeBoard asked her to participate as a panelist. The topic was “Lessons learned from the 2016-17 school year”. Each panelist was asked to share some successes and challenges from the year and field questions from the audience. 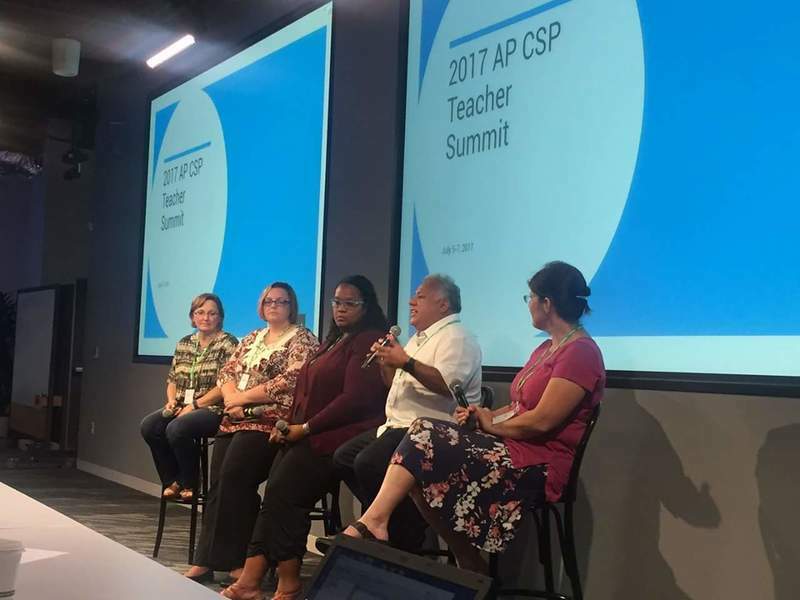 The audience included a few folks from the College Board, Facebook, a few veteran teachers, and CSP project leadership, but the primary audience members was the 100 CSP teachers, most of whom are brand-new teachers of CSP. 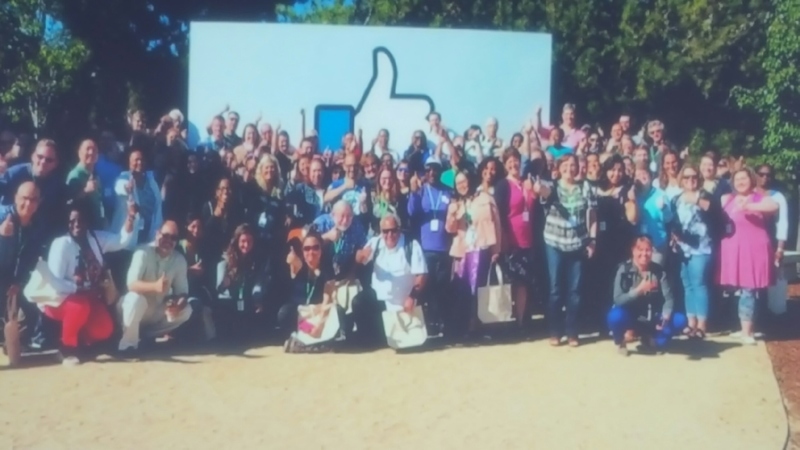 While attending two days of wonderful professional development on Computer Science topics that will assist in teaching CSP, Stacy also had the privilege to meet several Facebook software engineers and interns and question them about their journey to success. They were given a tour of Facebook headquarters. 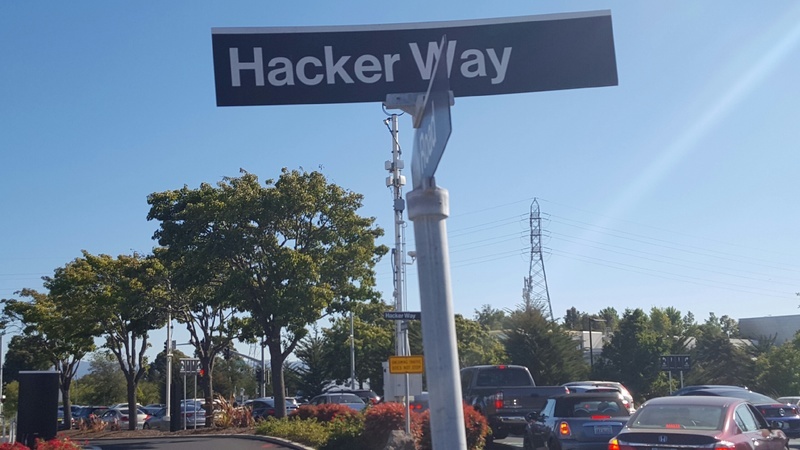 She was also able to see the Oculus department (from the outside), the staff arcade, all of the available restaurants that FB staff can eat at for free, the work areas of various departments, the Facebook Store, and the red bridge where Mark Zuckerberg addresses his staff. Thank you Stacy for your hard work and dedication to the students of SCHS!